Art Nouveau: An Art of Transition-From Indivi.. Drawings from the Heart: Tomie dePaola Turns ..
Nightmares in the Sky: Gargoyles and Grotesqu..
French Illuminated Manuscripts in the J. Paul.. The Clark Brothers Collect: Impressionist and.. 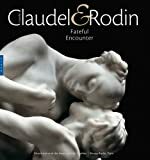 The Seuss, the Whole Seuss and Nothing But th..
Camille Claudel & Rodin: Time Will Heal Every.. 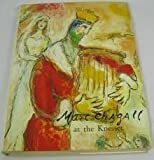 The Snowy Day and the Art of Ezra Jack Keats ..
Golden Legacy: How Golden Books Won Children'..
Gala Dali's Castle (Castell Gala Dali) : The ..
Atlas of Western Art History: Artists, Sites,.. 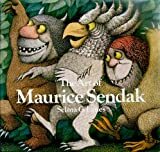 The Great Artists: A Library of Their Lives, ..
Denver Art Museum: Highlights from the Collec..
Flights into Fantasy: The Kendra and Allan Da..
Envisioning New England: Treasures from Commu.. 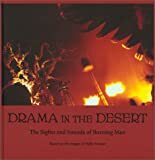 Drama in the Desert: The Sights and Sounds of..
Modernism and the Decorative Arts in France: ..
An American Impressionist: The Art and Life o.. 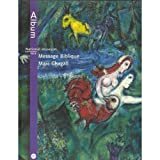 The National Trust Guide to Art Deco in Ameri..
Jose Clemente Orozco in the United States, 19..
Marc Chagall: Early Works from Russian Collec..
Giovanni Boldini in Impressionist Paris (Ster..
California Impressions Landscapes From the We.. 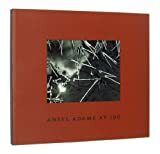 The Impressionists at First Hand (World of Ar..
Canes & Walking Sticks: A Stroll Through Time..
American Watercolors from the Metropolitan Mu.. The Isabella Stewart Gardner Museum: A Compan.. 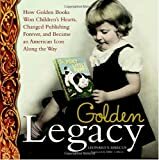 Growing Every Which Way But Up: The Children'..
Monsters & Miracles: A Journey through Jewish..
A Love for the Beautiful: Discovering America.. The Unknown Monet: Pastels and Drawings (Clar..
Matisse in Morocco: Paintings & Drawings, 191..
Frederic Church's Olana: Architecture and Lan..
Howard Pyle's Book of Pirates: Fiction, Fact ..
Frederic Remington, Artist of the Western Fro..
British Railways Steam Hauled Freight Trains,..
Henry M. Flagler's paintings collections: The..
Alfons Mucha, 1860-1939: Master of Art Nouvea..
Norman Rockwell: Pictures for the American Pe.. Enduring Legacy: Art of the Americas from Nas.. 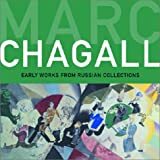 Spirit of Beardsley: A Celebration of His Art..
Children of the Gilded Era: Portraits of Sarg..
Tapestries and mosaics of Marc Chagall at the.. The Make-Believe World of Maxfield Parrish an..
Magritte And Contemporary Art: The Treachery ..
Miller's: Art Nouveau & Art Deco: Buyer's Gui..
Noble Dreams, Wicked Pleasures: Orientalism i.. The Age Of Grandeur And A Woman Who Lived It:..
FREDERICK CARL FRIESEKE: The Evolution of an ..
Guide to Winterthur Museum & Country Estate (..
Walkingsticks: .Ccessory, Tool and Symbol (Sc..